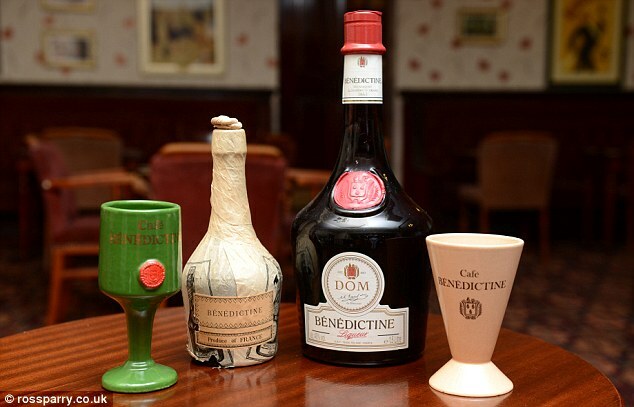 This herbal alcohol is an example of early marketing success, where popular legend had it that it was originally made by the monks of the Benedictine Abbey in Normandy in the 16th century, when in fact it was first produced in the 19th century by Alexandra Le Grand and a local pharmacist. Le Grand spread the rumour to create some historical link to the area, and of course boost sales. With a secret concoction of 27 plants and spices this is served to help digestion after dinner, is also believed to have medicinal qualities, and is not for the faint hearted! Fecamp (FR) following an old recipe of the benedictine monks. Contains lot's of fragrant herbs.